The Drools Boot Camp has the go ahead, a big thank you to Third Pillar for sponsoring the meeting room. The Drools team meeting forms the basis of the week long event, but we make it open to the public, free of charge, to participate as an informal boot camp. You may attend as little or as much of the event as you wish, there is no commitment, just please give us notification of when you wish to attend as there are limited spaces ( mproctor at redhat d0t com ). We will provide some dedicated seminars, including a Drools 5.0 primer on the first day for those that want to know what's new in Drools 5.0 which is followed by community based lighting talks. If you wish to give a lightning talk then please contact me asap. 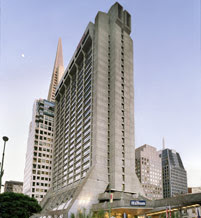 The location is San Francisco, during the JavaOne period, at the Hilton Hotel (750 Kearny Street). Rooms are available from $103 per night, at the booking time for my team and I. We plan to do a few time tabled sessions. The current proposals are subject to change, and suggestions are welcome - we don't plan to do a "getting started" or "best practice" session. Other than the primer the sessions will be in BOF casual discussion style seminar with an emphasis on audience particitation for Q&A and suggestions, not dedicated slides with pre-made material, beyond useful illustrations, so expect lots of walking through code and white board use :) It can also be a great time to give feedback and suggestions for those topics. 20 minute community lightning talks about their experiences with drools. Ales Justin, JBoss Microcontainer Lead, will discuss MC integration with Drools. If you are using Drools in a novel or interesting way and wish to do a short presentation, that is very much welcome, just please email me for confirmation so we can make sure we are prepared and even promote that. If a few people wish to do this, we can make a dedicated end-user speaking session. While we have the time tabled sessions, there is no formal agenda beyond that. The Drools team will be there planning their next road map, hacking on new features and fixing some bugs - this will be a continuous process throughout the week. We encourage you to participate and ideally contribute and we will provide lots of hand holding and mentoring. Outside of the time tabled sessions you'll probably feel out of place if you aren't coding away on a laptop. Ideally, but not essential, you will already have ideas on areas you wish to improve and we'll assist. Last year we got great contributions to Guvnor from Joe at Recondo Technologies and Michael at Franklin American, neither had any prior experience on hacking Drools, although both turned up knowing what it was they needed added to Drools for their companies. Any chance you guys would be willing to share the sessions via a LiveMeeting session? Unfortunately, some of my peers and I can't make it out to S.F., but would defintely make time for the sessions. we can probably get a webcam going, but we don't have any video equipment so I'm not sure the resulting quality will be useful. That's awesome Mark. We really appreciate it. I can provide a LiveMeeting session and conference call number. I really appreciate it. I will email the information shortly. I'm looking at this and would be interested in attending is there room for one more. I am currently exploring drools for one of my upcoming projects. Is there any chance i can get a room in this live meeting.